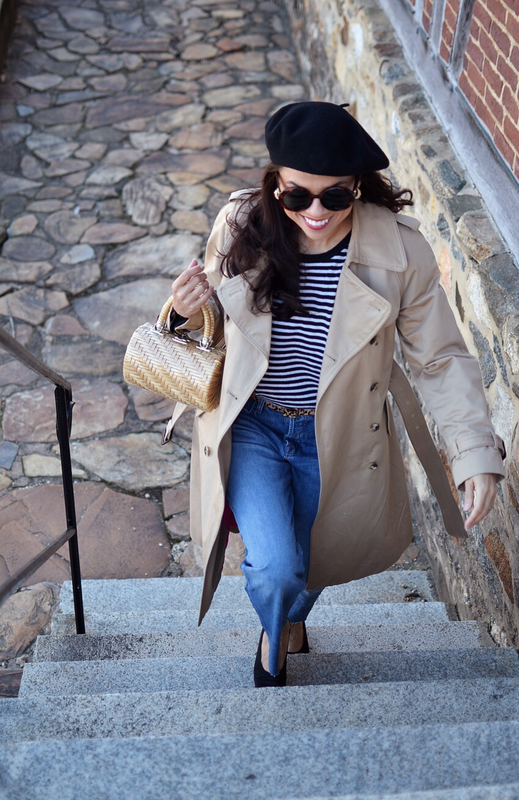 I know the "Parisian style" is overrated these days, but I couldn't help but sharing a look that was inspired by French flare. I've always enjoyed seeing photos of the 60's and early 70's style. In fact, most of my fashion icons are from that era. Among those icons, there is a Danish/French actress named Anna Karina which I admire. 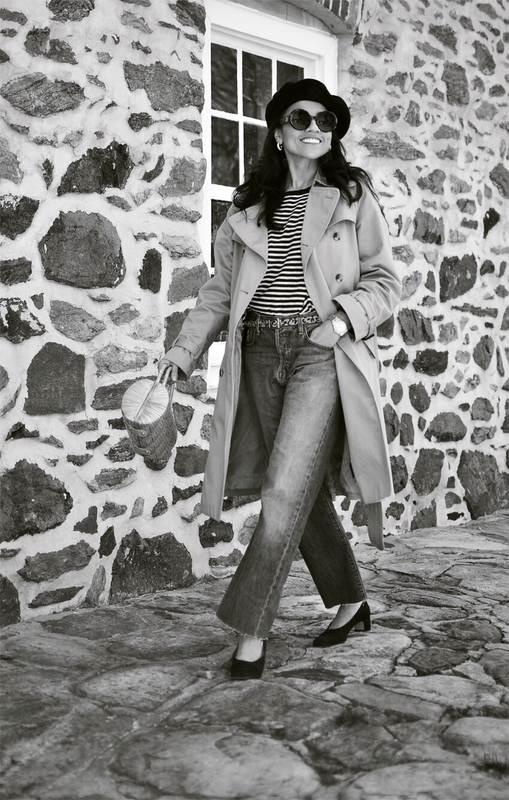 She had grace, which made everything she wore look very stylish and yet wearable, including her nautical outfits. I wore this look last Thursday when I took over the Wake Forest University Style Instagram account. 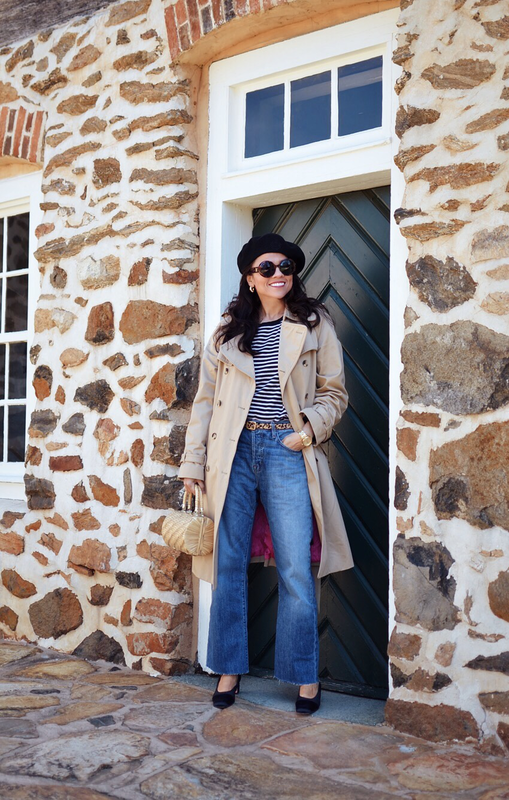 It was fun sharing my wardrobe; the things I love about it (everything), and also some facts about my everyday life. Wearing this look during a busy day was perfect because everything was comfortable and yet stylish enough for brunch in downtown. 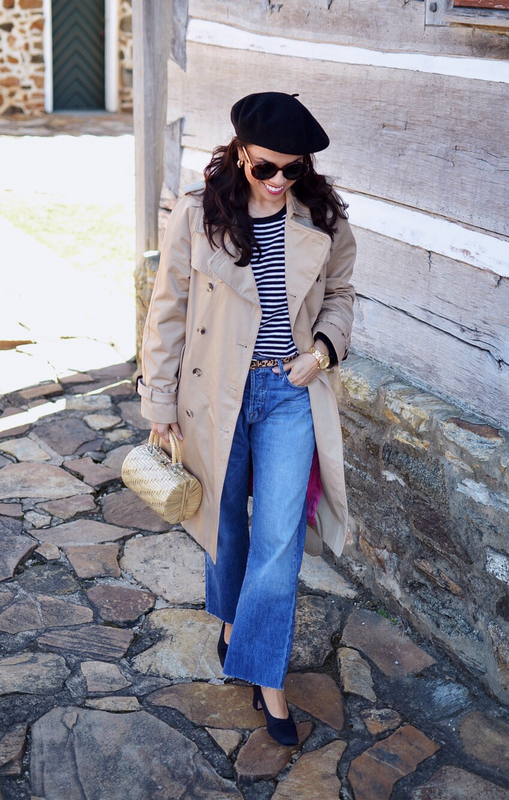 Trench: Isaac Mizrahi. Similar/Pullover: H&M. Similar/Shoes: Yves Saint Larent (vintage). Similar/Jeans: J. Brand. Similar/Sunglasses: Chanel (vintage). 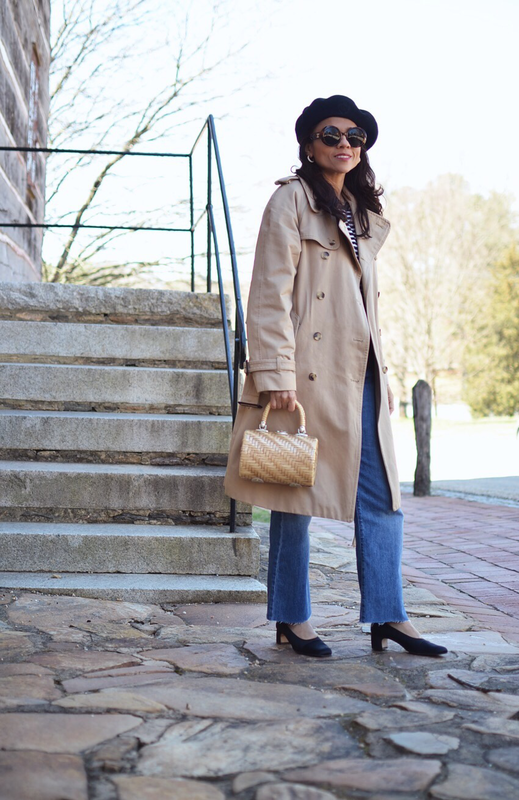 Similar/Bag: Vintage. 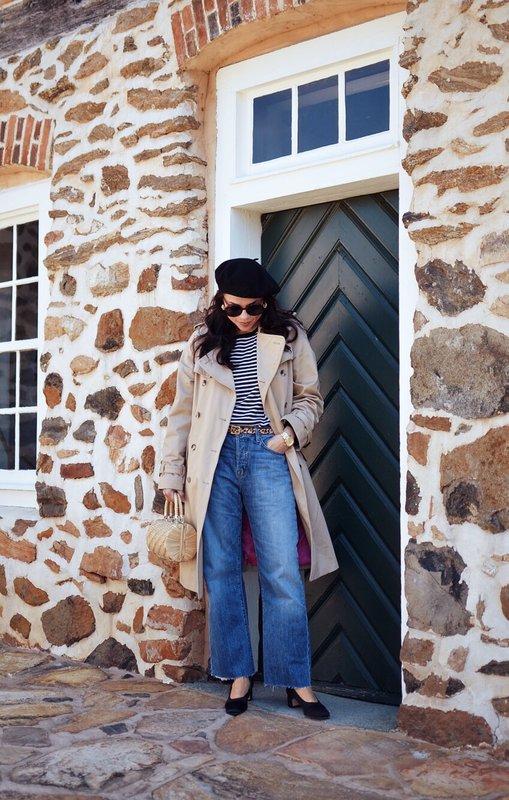 Similar/Beret: Vintage. Similar.